A joint is the physical point of connection between two or more bones. Anywhere in our body, where two or more bones come together, we have a joint. There are between 250-350 joints in the human body. Some of these joints are more obvious than others. We all know where our knee, ankle and shoulder joints are, but did you know that there are around 30 joints in our hands, many joints in our feet and even joints in our skull? 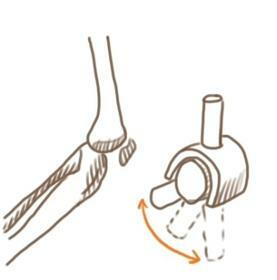 Joints provide mechanical support as well as allowing movement in most cases. 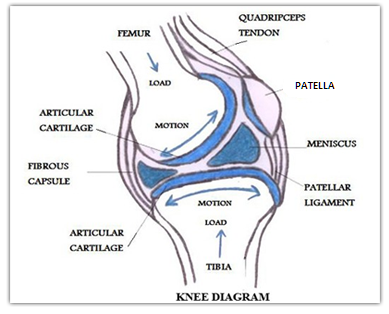 The largest joint in the body is the knee. It attaches the upper leg (femur) to the lower leg (tibia and fibula). Some of your joints, like those in the skull, are fixed and do not allow any movement. The bones in your skull are held together with fibrous connective tissue.